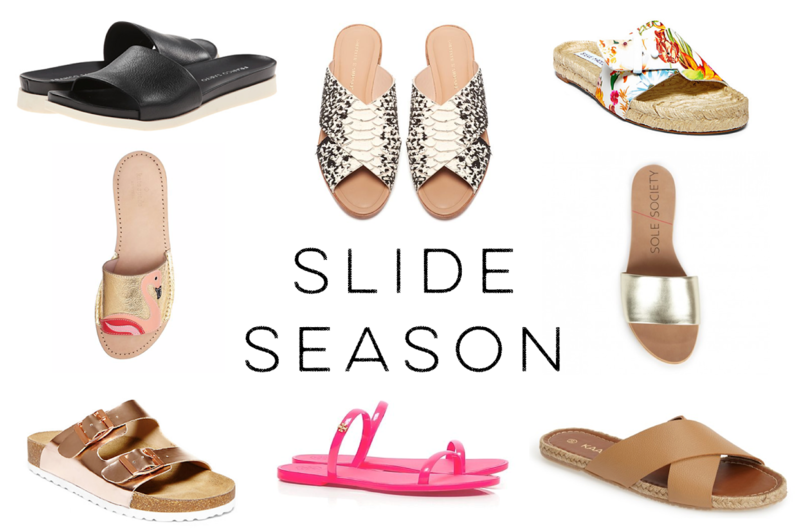 Sayonara flip flops, slides are back with vengeance! But first can we please reminisce on when these were worn daily to soccer practice? They are now they currently sold at Nordstrom, proving all things really do come back in style. Speaking of slides… tell me this song didn’t pop into to your head as you read this. Now it’s time to get a pedicure so slides are an actual option! This entry was posted in shopping, wearing and tagged sandals, shopping, slides. Bookmark the permalink.